Shop 5000+ Used Vehicles This Weekend at Off Lease Only! The Nation’s Used Car Destination’s team of buyers have been extremely busy acquiring the most incredible selection of quality used cars, trucks, SUV’s and vans for your shopping pleasure! Off Lease Only has the most incredible selection of used vehicles for sale! With over 5,000 used vehicles for sale, all priced thousands below retail, you will never have to settle! Nearly every make/model and color combination you can imagine are awaiting you at Off Lease Only right now. Off Lease Only’s expert team of buyers pride themselves in offering SMART PRICING. They do the research for you by comparing every other dealers prices within 1,000 miles to make sure you get the very best deal when shopping at Off Lease Only. Out of state shoppers take advantage of Home Delivery to save thousands at The Nation’s Used Car Destination! 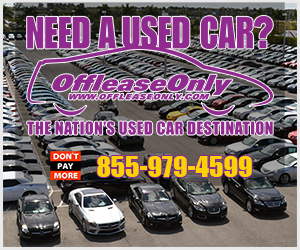 Off Lease Only sells more used vehicles in the state of Florida because of an unmatched commitment to customer satisfaction and stellar online reputation. Out of state shoppers love taking advantage of our Nationwide Home Delivery too! 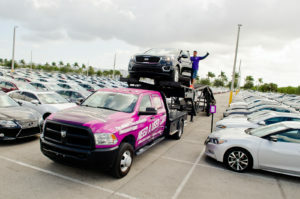 Thousands of used vehicles are shipped across the country annually. There are so many reasons to feel confident in your Off Lease Only car buying experience. 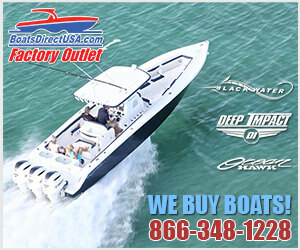 Off Lease Only offers major peace of mind with a 5 day/500 mile free exchange policy. No questions asked and no reason needed. Simply bring the vehicle back and trade it towards something that suits your needs to the fullest. Visit OffLeaseOnly.com for complete details. Plus there are no hidden fees and no stress of negotiating price at Off Lease Only. All pricing information is clearly marked online and on the lot, so you will never have any surprises when purchasing your next used vehicle. 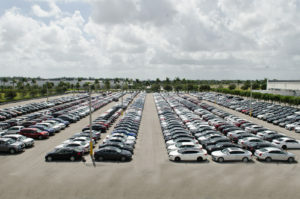 Thousands of pre-owned cars, trucks, suv’s and vans, all priced thousands below retail line the lots of Off Lease Only! Whether you buy a car from Off Lease Only or not, their entire team is dedicated to making your experience one of a kind every time. You will never feel unnecessary stress or pressure from a salesperson. Feel free to browse the inventory online, or in person, then stop by take a test drive on your own free of a salesperson. “Why would you take a chance buying a car from any other dealer? We take the risk out of buying a used vehicle with our dedication to customer satisfaction before, during and after the sale,” stated founder Mark Fischer passionately. Our teams are dedicated to every customer having a wonderful stress free car buying experience whether you buy a car from us or not! Only with their free exchange policy and stellar reputation. Before you buy your next used vehicle, make sure to shop OffLeaseOnly.com and browse 5000+ quality used car, trucks, SUVs and vans. You will save thousands and have the peace of mind you deserve when making a large purchase. Off Lease Only is A+ Rated on the Better Business Bureau, DealerRater’s Used Car Dealer of the Year in Florida and an Edmunds Five-Star Premier Dealer. Get ready to experience the best used vehicle buying experience at The Nation’s Used Car Destination! For driving directions, simply click the banner below. ← Previous Story Show Us Your Ride Winner Chooses OffLeaseOnly Chevy Silverado!